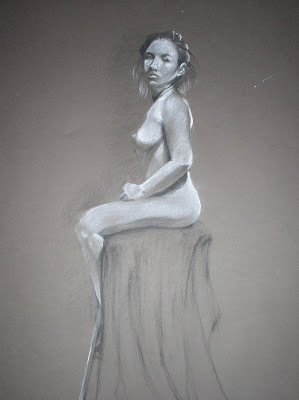 This is a portrait from one of my Life Drawing classes. I used a white pastel pencil and charcoal. People, characters, organic creations are what I thrive on. I like getting lost in rounded shapes and subtle details of the face. I'm an artist that loves to draw the cute, the quirky, and the impossible. My portfolio can be found at: yetipops.com My Favorite things are going on adventures, the yeti, soldering resisters, archery, sculpting, anything dystopian/ sci fi/ post-apocalyptic, and eating curry. I live in a cozy little apartment by a charming lake in Oakland with a kitty, a hamster, and my wonderful boyfriend Jason. 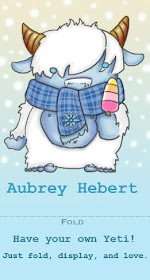 Yetipops by Aubrey S.Hebert. Simple theme. Powered by Blogger.